November was a great month for SMS. Our Spell Bowl team won the state championship and represented our school with pride in West Lafayette. The Veterans Day celebration was a moving ceremony, and as usual, brought many in attendance to tears. Our boy’s basketball teams are competing at a high level and achieving great results. And, to culminate this month’s activities, we celebrated with students and their families at our quarterly 4.0 celebration. I applaud all of our students for the energy and effort they put forth towards their academic and extracurricular endeavors. While the early snowfall probably caught most of us off guard, this weather is a reminder of the cold months just around the corner. Please be sure that your son/daughter is dressed appropriately for the cold. I continue to see many students arriving to school without a coat. Finally, we continue to investigate ways to improve communication with families and are trying this new format for our monthly newsletters. We appreciate your feedback. Feedback can be provided by clicking on the green button on this page. Please don’t forget to “like” or “follow” one of our newly developed social media pages. Have a Happy Thanksgiving and enjoy the winter season! 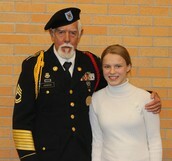 Thank you to the students and staff who helped plan and organize the Veterans Day celebration. Also, thank you to all SMS students and families who donated items to help support The Red Fox Bakery, Miller's Vets, and Indianapolis Veterans Hospital! Your generosity and support was appreciated! Spell Bowl Team - State Champions! 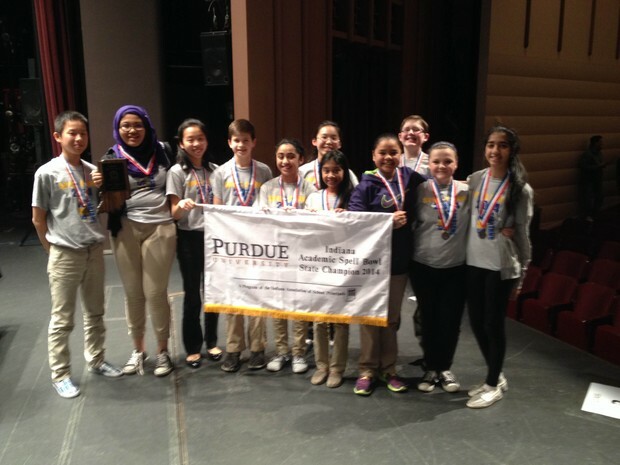 Schmucker Middle School won the 2014 Spell Bowl State Finals on Nov. 15 at Purdue University spelling 71 of 72 words correctly. Our team was awarded a plaque and a banner and team members were each given medals. 8th graders, Kia Heryadi, Kenna Musser, and Priya Chaudhary competed all three of their years here at SMS. Other team members were Celine Wang, Frank Bell, Dylan Cloonan, Harsimran Kaur, Armandeep Kaur, Karen Wang, Maya Kallookulangara, Ryan Ludwig and David Wang. Our school won state titles in 1987, 2010, and now in 2014. Congratulations to Coach Dale and our Spartan Spellers - you make us all proud! 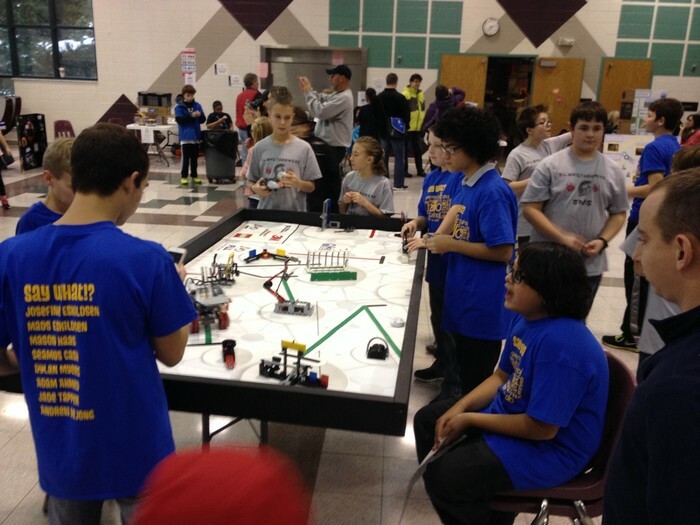 On Sun., Nov. 16, three teams from Schmucker competed in the North Central Indiana Qualifying Tournament. All three teams had fun and did a great job presenting their projects and using their robots to complete challenges of the robot game. The members of our team worked hard outside of school hours to prepare for these challenges and were wonderful ambassadors of Schmucker Middle School at the Tournament. We are proud of them and thank them for their dedication and work ethic. We would also like to extend our gratitude to all the parents and volunteers who helped along the way during our practices and Tournament. You shared your expertise and that was most appreciated. Coach Rice reports that MathCounts team practices continue on Wednesday mornings at 8:00am through January. New participants are still welcome. The Regional Competition in DeBartolo Hall at Notre Dame is Saturday, February 14, at 8:30am. Calendar that date and more specific information will be shared as we get closer to the competition. Academic Super Bowl Teams are forming and preparing to practice in the near future. The coaches are listed below and students should listen to announcements for participation information. English - Coach Hoover (Mrs.) who reports that practices will begin in January. Math - Coach Rice (Mr.) who reports that practices will begin after MathCounts is complete. Science - Coach Wagner (Mrs.) who reports that practices will begin in January. If you are interested in participating, please contact Coach Wagner in room 227 or at swagner@phm.k12.in.us. Social Studies - Coach Kent (Mr.) who reports that practices will begin in January. Coach Kent is a teacher at PHS and is husband to our 8th Grade Language Arts teacher, Mrs. Kent. Thanks to all the hard work and fundraising efforts of the NJHS members and parents, we were able present a $1,200.00 check to AIDS Ministries of South Bend! They plan on using the money to stock their food and toiletries pantry for local community members. Thank you to all the members and parents who provided baked goods and pumpkins and/or worked during the Bake Sale. In addition, thanks to everyone who attended our Five Guys fundraiser. We brought in over $1,000 in business that evening! In upcoming months we will be focusing on helping out within the school. More updates to come. This year's science fair will be held on Feb. 2, 2015, in the Schmucker Middle School LGI. Students who are interested in participating in the science fair should see Mrs. Wagner (room 227) for an information packet and registration forms. Students must submit a project proposal (a testable question and hypothesis) and the registration forms to Mrs. Wagner by Dec. 19. 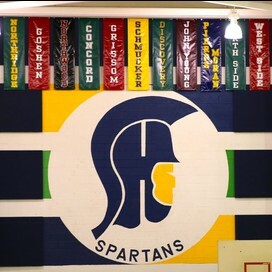 Mrs. Wagner will hold an informational meeting in room 227 for interested students on Thurs., Dec. 4, at 8:15am. Contact Mrs. Wagner if you have additional questions - swagner@phm.k12.in.us or call 258-9521 ext. 52227 to leave a voice mail. Tues., Dec. 2 - 8th Grade Parent Night for PHS Scheduling - 6:00pm in the SMS Cafeteria. Fri., Dec 19 - 8th Graders - Pink PHS scheduling forms and PHS Summer PE Sign-up forms are due to Student Services. In January and February, Mrs. Yoder and Mrs. Hoover will meet individually with all 8th graders regarding Penn High School freshman class scheduling. Opportunities will be provided for parents to reserve a time to meet with counselors and students to finalize schedules. Save this date! The 7th Grade Class Trip to Medieval Times in Schaumburg, Illinois, will be on Thurs., Apr. 2, 2015 from 8:15am–4:45pm. Approximate cost is $50 per student. More information will be made available in January. Deposit #2 for the Washington, D.C. trip is due Jan. 30, 2015 and should be sent directly to Hemisphere Educational Travel. 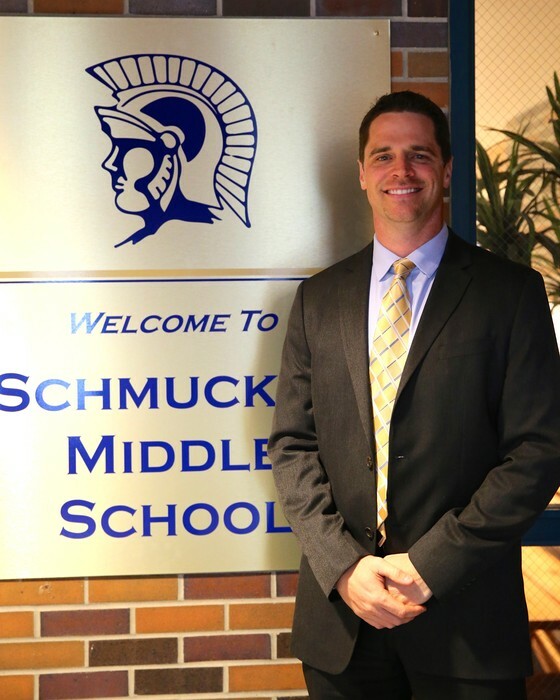 Hopefully, Schmucker will have a large number of travelers in late May. Remember that we will have fund raising opportunities throughout the year to help with the cost of this trip. We want to thank River Valley Church and Penn High School's partnership in creating Spread Joy Ministries. Spread Joy Ministries will be helping some of our Schmukcer families during the holidays and we appreciate their generosity and help. The Knights of Columbus have offered again this year to provide holiday baskets to some families of our Schmucker students. In the past 3 years, they have helped 50-60 Schmucker families and are going to pass out food baskets once again. We are thankful to be part of such a helpful community and glad to partner with these groups this holiday season. All students who are eligible for the opportunity to take the SAT or ACT through Northwestern University’s Midwest Academic Talent Search should have received information recently from their counselors. Keep in mind that online registration for the test ends on January 4, 2015. We want to remind the 21st Century Scholars or their parents to contact the North Central Regional Support Program Office if there has been a change of address or phone number. This is necessary to help ensure that Scholars and parents do not miss opportunities such as: college campus visits, workshops, informational sessions or activities for parents. Most importantly, it will help ensure that Scholars do not miss their scholarship opportunity. 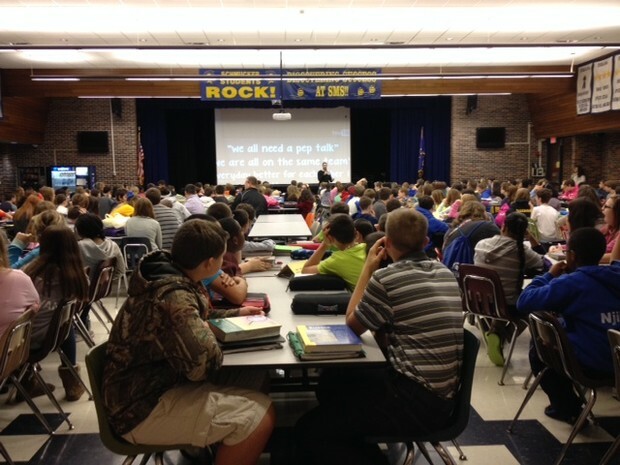 A roster of the 21st Century Scholars will be forwarded to Schmucker’s Guidance Office. The 21st Century Scholars phone number is 574-239-2380. In accordance with the Indiana high ability law, we are required to have a process in place to identify students of high ability in the general intellectual and specific academic domains. The Penn-Harris-Madison School Corporation has designated kindergarten, 3rd, and 5th grades to officially identify students who have high ability in language arts and/or math. The high ability identification process will begin in October for 3rd and 5th grades. Learn more about our identification procedures by visiting our high ability website at www.phm.k12.in.us/highability. Students, if you are looking for extra help with your schoolwork, please feel free to attend Study Club on Tuesday and/or Thursday mornings from 8-8:50am in the IMC. This is a great opportunity to be proactive with your schoolwork and ask questions if needed. Also the Rose-Hulman Institute of Technology offers a free Homework Hotline for help with math and science. Call 1-877-ASK-ROSE or visit www.AskRose.org. Pamphlets regarding this hotline are available on the counter in the main office. Orders must be submitted to the school office on or before Friday, December 5, 2014. If you are a parent of a 6th grade student, visit Mr. Verash's 6th Grade Science Class on Facebook. You do not need a Facebook account to see his homepage. All you need to do is Google, Mr. Verash´s 6th Science Class. This makes access a lot easier without making a Facebook page! You will find recent information concerning the online book, videos, pictures, Quizlet, Sheppard Software, and the standards that all 6th graders are covering this year. Also, if your child has been absent, this is a great resource for information. World Book online is now available at school AND at home. You can access this site by typing in the following URL: http://www.worldbookonline.com/?subacct=C8833. The log-in is schmucker, and the password is spartans. This link is also available on the Library home page within the Schmucker website home page. Enjoy! 7th and 8th grade Cheerleading and 7th and 8th grade Boys Basketball are currently practicing and competing. Remember that athletic physicals must be on file before a student may try out for a sport. Physicals dated after May 1, are acceptable for the entire school year that follows. The athletic physical consists of three parts: Athletic Medical Insurance Certification, Physician’s Certificate, and Activity Code of Conduct. If you are printing forms from the SMS website, please make sure you have all three parts. These forms are also available in the school’s main office – they are blue for the 2014-2015 school year. All three of these pieces must be on file for students to try out for any school athletic team. In addition, the transportation form and fee needs to be submitted before the first contest of each team’s season. Girls Basketball tryouts are quickly approaching. The following information will help your daughter be prepared for these tryouts. On Dec. 8 a grade sheet will be available in the main office for any 7th or 8th grade girl who wants to tryout. These grade sheets must be completed by students and their teachers and submitted to Coach Curless in room 214 before we leave for winter break on Dec. 19. Every girl must have a current middle school athletic physical on file in order to participate in tryouts. See information above about the three sections of the athletic physical required. 7th and 8th grade Girls Basketball tryouts will be held in the SMS Gym on Wed., Jan. 7, Thurs., Jan. 8 and Fri., Jan. 9 from 4:15-6:00pm. The requirements of Public Law 99-519 better known as the Asbestos Hazard Emergency Response Act (AHERA) have been met by the Penn-Harris-Madison School Corporation. Following an inspection for asbestos containing material by an accredited inspector, Penn-Harris-Madison had an approved asbestos management plan on July 9 1989. The plan and all records concerning its implementations are available for inspections at the office of the principal during regular business hours. When a student is absent, we urge the student or parent to check the Home Access Center http://esphac1.phm.k12.in.us/homeaccess for information or call and listen to teachers’ voice mails, which often give the homework information for each day. If a student has been absent three days, and you still feel the need for a formal homework request, you may call the office to do so and then pick up the work at the end of the next school day. Please refer to p. 19 in the Student Handbook found in the front of the Student Planner for further information. Please "like" or "follow" one of these social media sites for SMS.